Connecting Seller Central to Aura can seem a bit confusing but it's very easy. Let's jump right in. 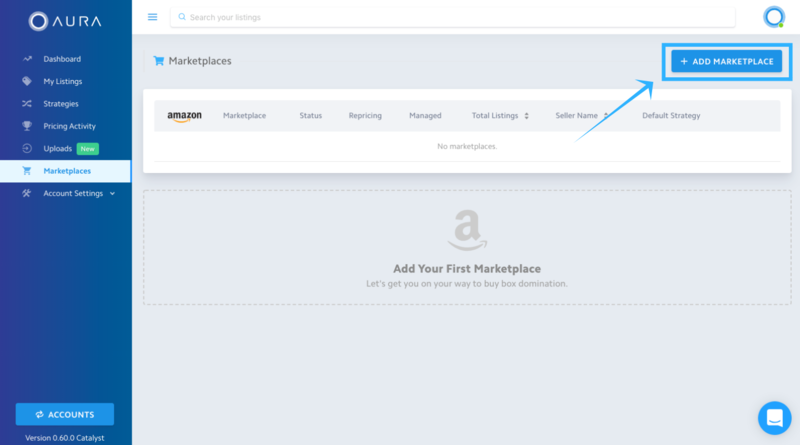 While logged into your account, click on the Marketplaces tab on the left-side of the page. 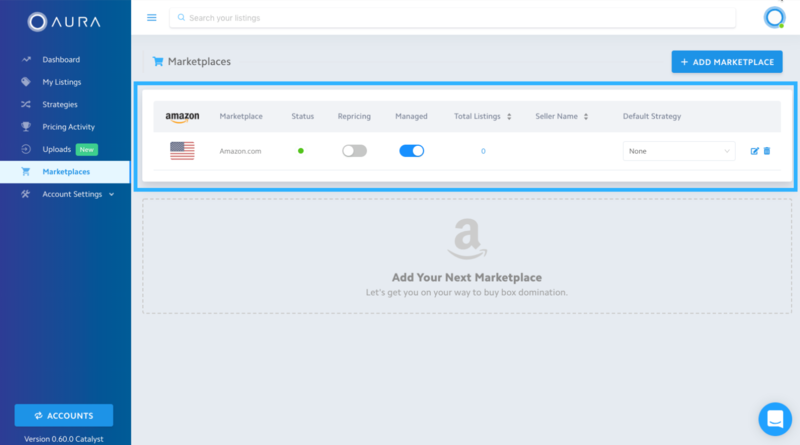 Once on the Marketplaces page, you'll click Add Marketplace, located in the top right of the page. Until we release our eBay and Walmart support, you'll click the Amazon icon and then Continue. 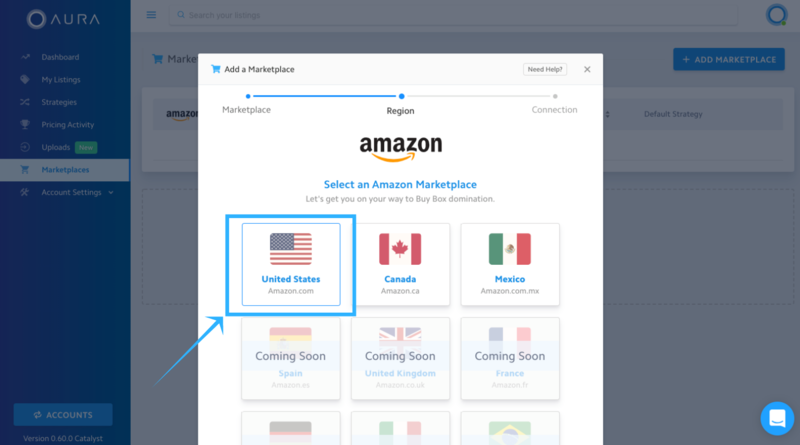 Depending on which marketplace(s) you sell on - United States, Canada, Mexico, ect - you'll pick them at this step. *Note - Each marketplace is treated as it's own unique marketplace so you'll need to repeat this process for each marketplace you sell on. For our example, we'll choose United States and click Continue to move on to the next step. We make connecting Seller Central to your Aura account easy. 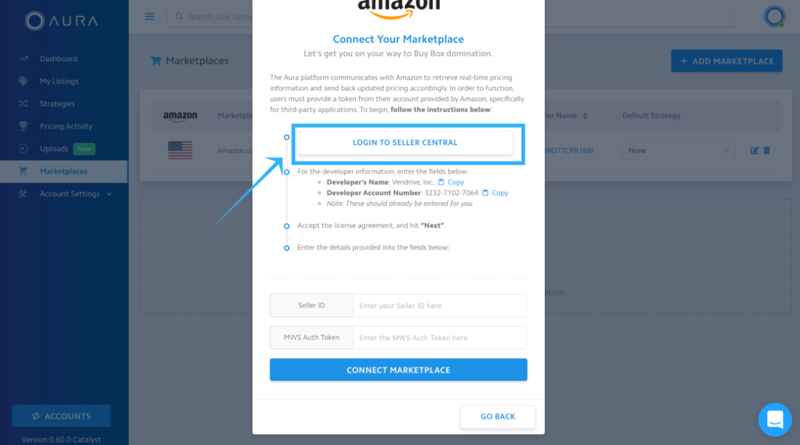 For this step, simply click the Login To Seller Central button and Aura will automatically fill in the required Developer Name and Account Number fields for you. *In the odd case that our developer information is not visible, you can simply copy it below the Log In button within Aura. As seen in the below picture. 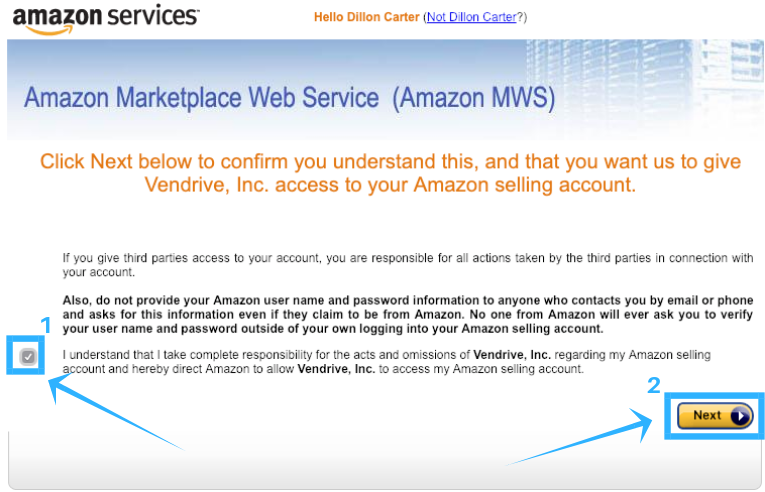 Clicking the Login To Seller Central button will take you to the following page. 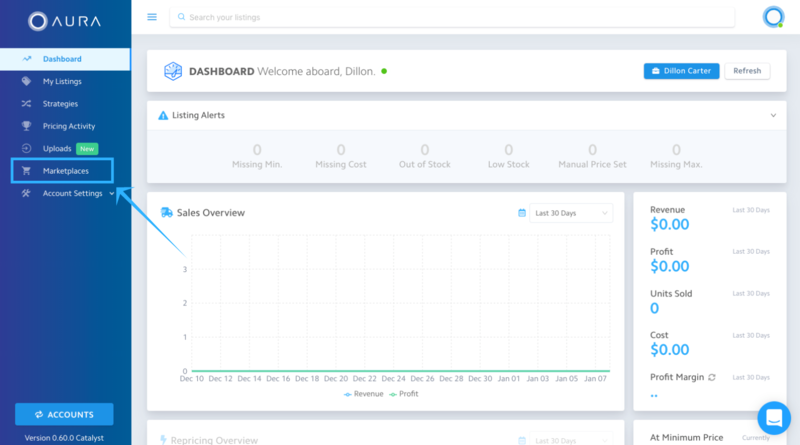 Once on this page - making sure the developer information is being shown - you'll click Next. Seller Central will then ask you to confirm that you would like to connect your Seller Central account to Aura. To do so, click the checkbox and Next on the page. After you've confirmed your account connection to Aura, Seller Central will give you your unique Seller ID and MWS Auth Token, which Aura will need next. *Make sure you copy the whole MWS Auth Token as copy and paste may copy only a small portion due to the decimals within the token itself. 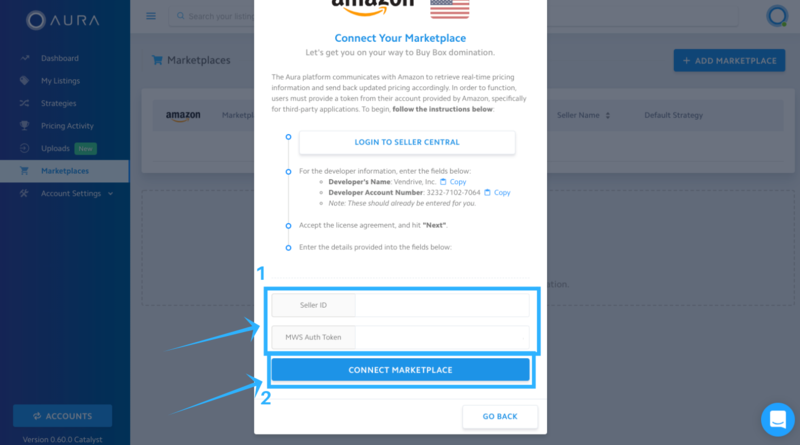 Take your Seller ID and MWS Auth Token back to Aura and put them into the required fields and click Connect Marketplace. After you click Connect Marketplace, Seller Central and Aura become best friends and start talking to each other like besties. That wasn't so hard, right? !